Traveling has been a huge part of my life. My family has never lived in the same city as our extended family. So we found ourselves driving 4 to 8 hours each summer to North Carolina to visit relatives. My parents would also arrange a family trip to some place new—a different location each year. These yearly vacations would later prompt me to travel all over the world. Exploring new places means trying new foods, uncovering histories, understanding cultures. I know that many artists will sketch when they travel. I have never really been that way. I prefer documenting with my camera. Photos can capture colors, textures, and moods that are very difficult to depict in a quick drawing. I happen to be traveling a lot this year, so I decided to start this “Explore” series. Each trip, I’ll post images and stories about what I have seen, heard, tasted, and felt. I will also point out things that inspire or attract me. My hope is that sharing my travel experiences will encourage you to look more closely at your surroundings—familiar and unfamiliar. When my husband and I first met, we realized we had a lot in common. Similar upbringings. Close ties to family. A love of traveling. And the St. Louis Cardinals. Within the first year of knowing one another, the Cardinals won the World Series. We took that as a good sign. 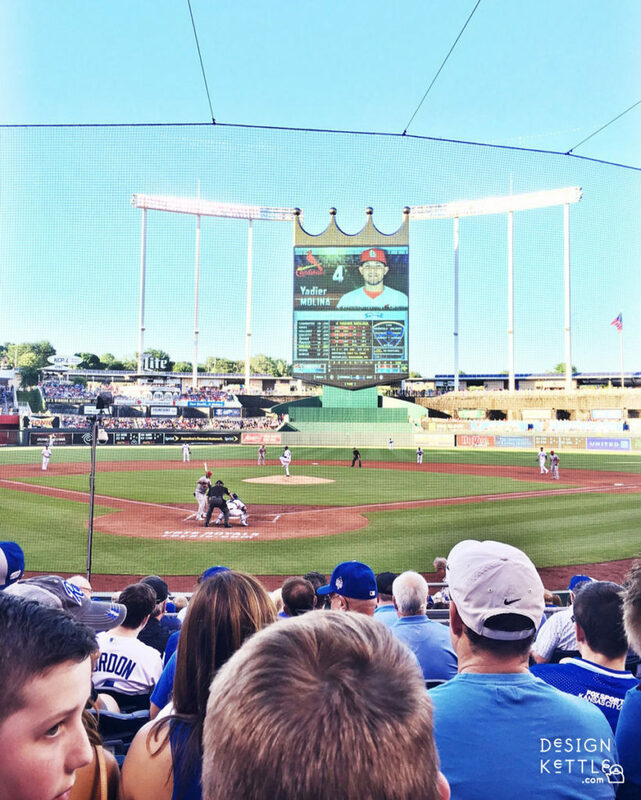 It was a no-brainer to join my in-laws in Kansas City for a couple days to see the Cardinals play the Royals. Neither Devin or I had ever been to KC, so the idea of barbecue and baseball was way too good to pass up. With less than 36 hours in the city, we tried to hit some really good spots near the hotel. 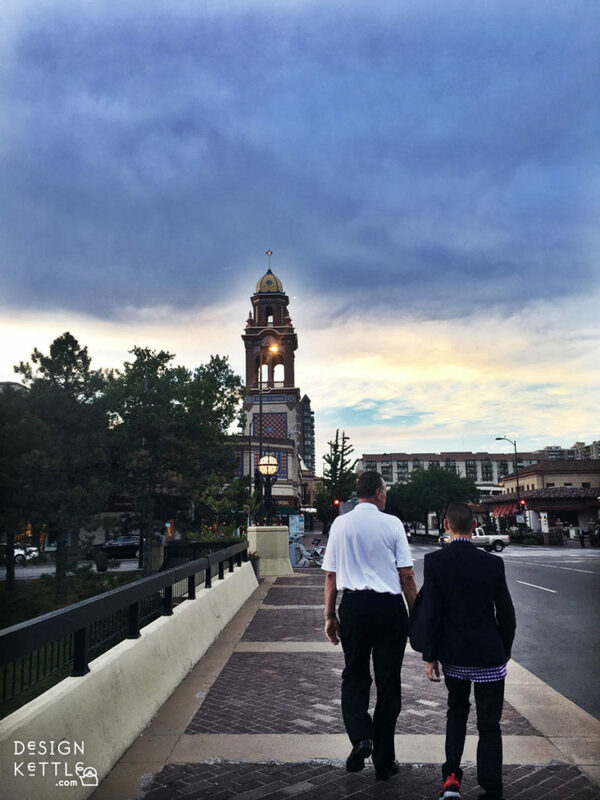 Fortunately, we stayed right across from the Country Club Plaza, allowing easy access to great food, shopping, and sights. Since I’m all about visual storytelling, I’ll let the photos do most of the talking. Much consideration has gone into the art and architecture in the Plaza. This statue of the former Prime Minister of the UK is one of several commemorations of historical figures throughout the area. 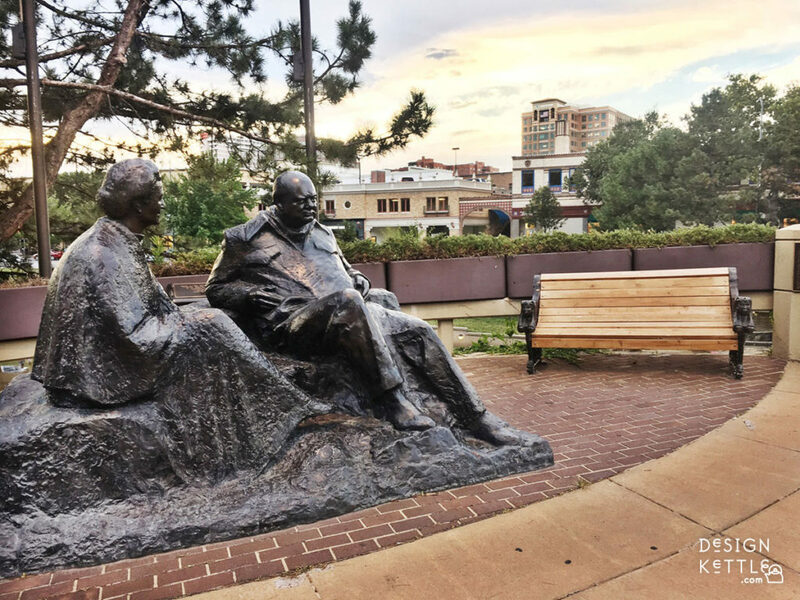 You’ll find statues of dignitaries and historical figures throughout the Plaza. The look of the Plaza is completely unexpected in a midwestern metropolis. Tiled rooftops, walls, and walkways transport you to Seville, Spain—completely intentional. The structural and urban architecture were designed in the early 1920s (one of my favorite artistic time periods) by Edward Buehler Delk, funded and founded by developer J.C. Nichols. 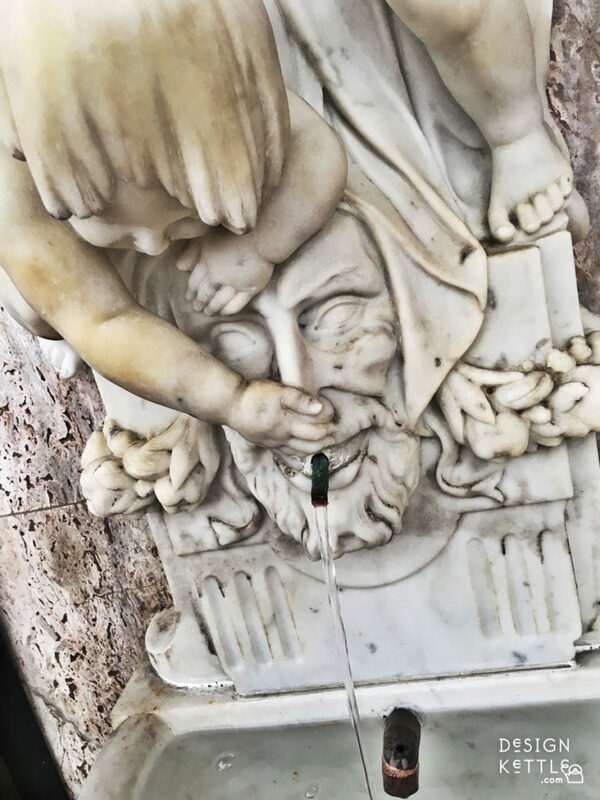 Saw this funny fountain on the side of a building and just had to take a photo. 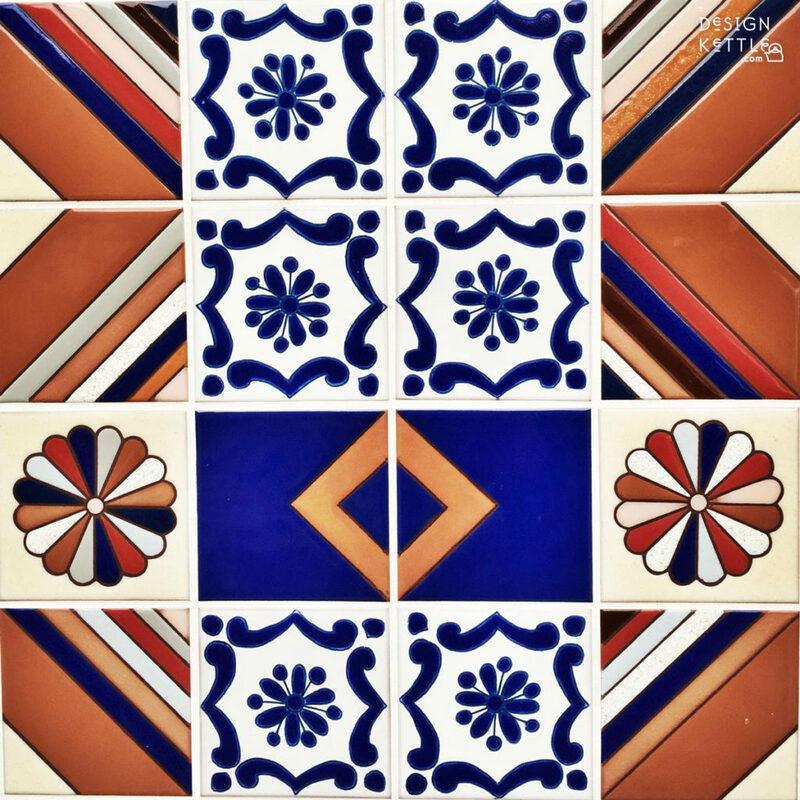 Gorgeous colors and wonderful rendering of a Spanish town in this tiled piece. Wouldn’t mind having a wall like this in my home (eventually). 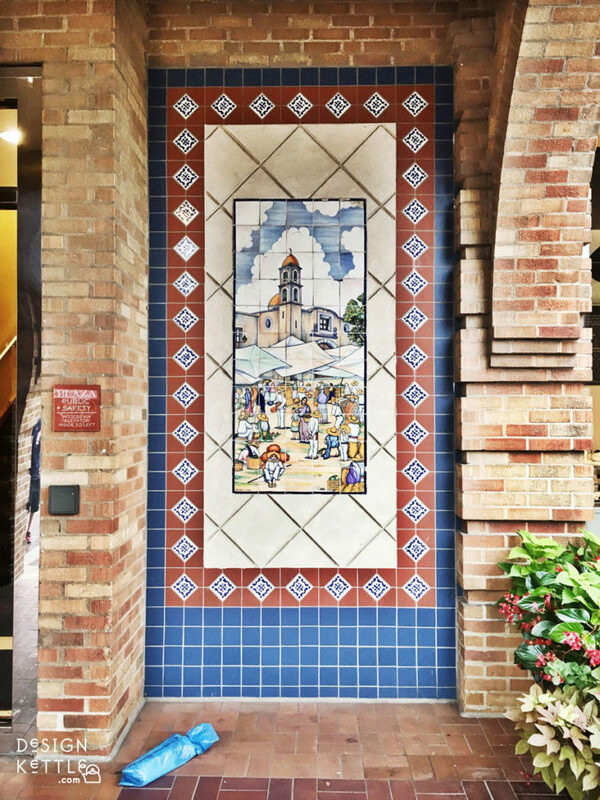 Some of the beautiful tiles along sidewalks in the Plaza. Definitely saving this color palette: sapphire + terra cotta + burnt orange + Carolina clay + chocolate + cream. 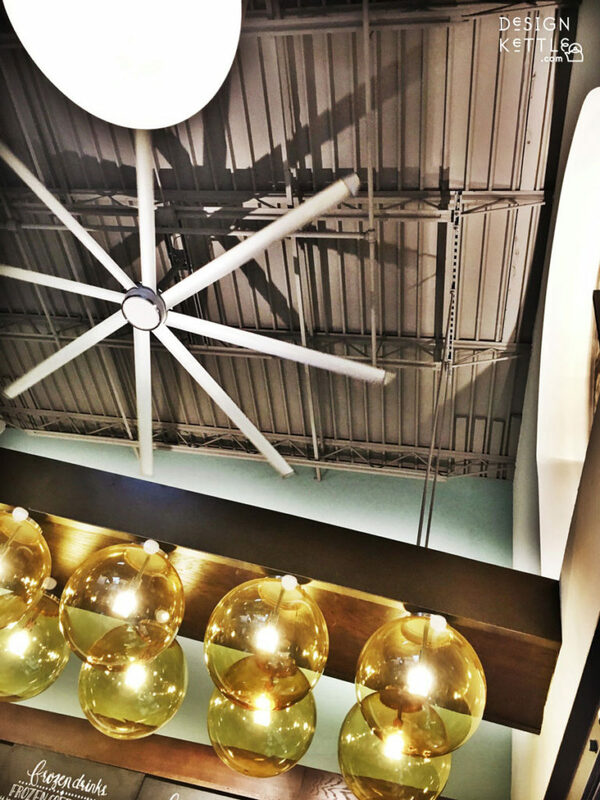 While waiting on our coffee orders, I glanced up at the ceiling and saw this great composition. 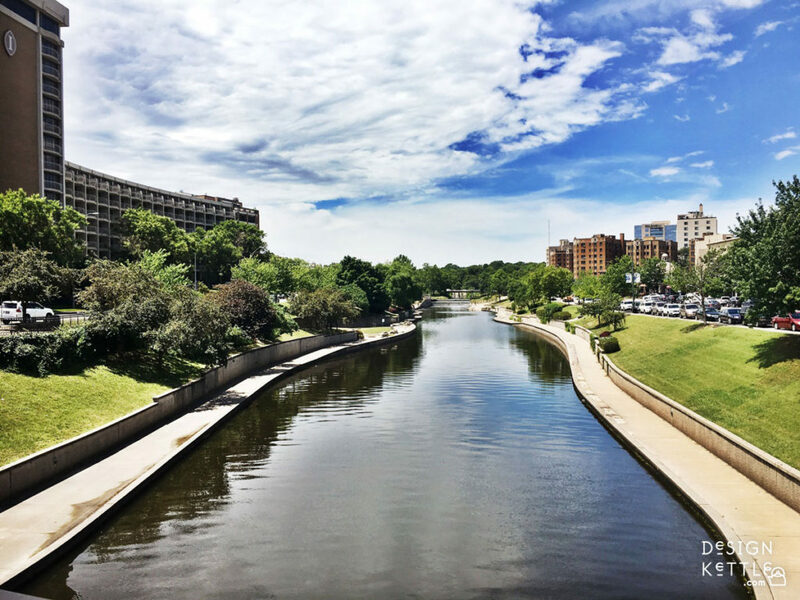 The Plaza was an easy walk across Brush Creek from our hotel. The structural features on either side of the creek make it pedestrian- and cyclist-friendly. The morning rain moved out and exposed crystal blue skies. A beautiful backdrop to the terra cotta, cerulean, and cream in the architecture. Fantastic barbecue from Fiorella’s Jack Stack. I’m good on beef and pork for at least a month. We kept passing windows and doors with this logo on them. 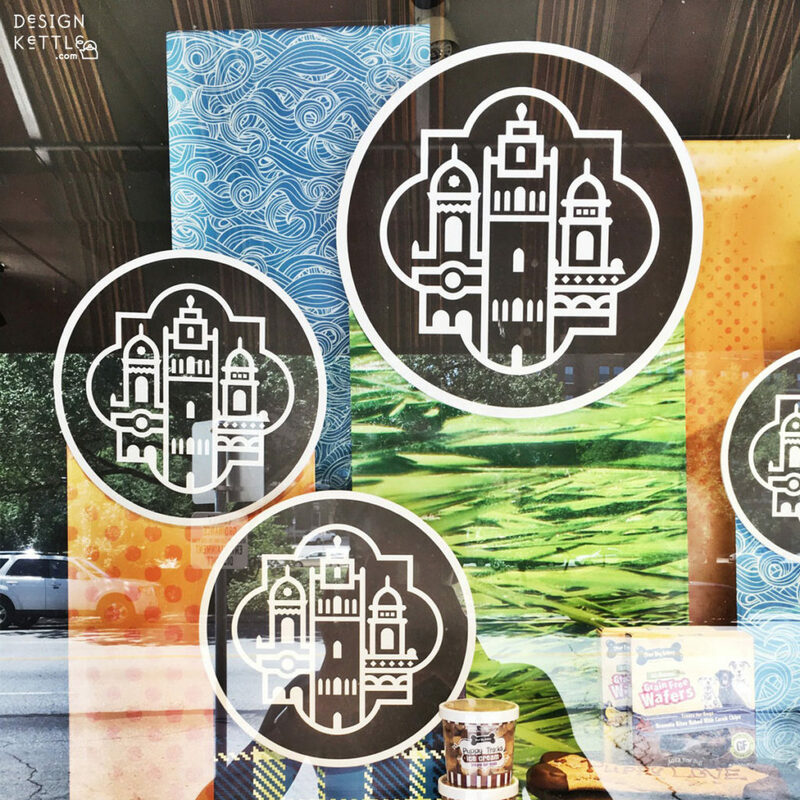 It’s the logo for Country Club Plaza, which is now privately owned. 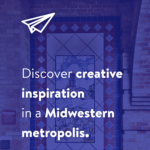 The design is right up my alley: simple shapes and thick lines that allude to the Spanish architecture. I saw this logo throughout the Plaza and finally stopped to take a picture of it. 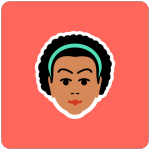 Love how it describes cultural elements with simple curves and lines. One of two times we’ll get to see the Cardinals this year. They lost to the Royals the night before, so we really wanted to see a win that night. Yadi and the guys did not disappoint! Intercontinental Kansas City At The Plaza : Definitely not the cheapest place, but there are several hotels in the area to choose from. I’m sure there are some nice Airbnb spots, as well. 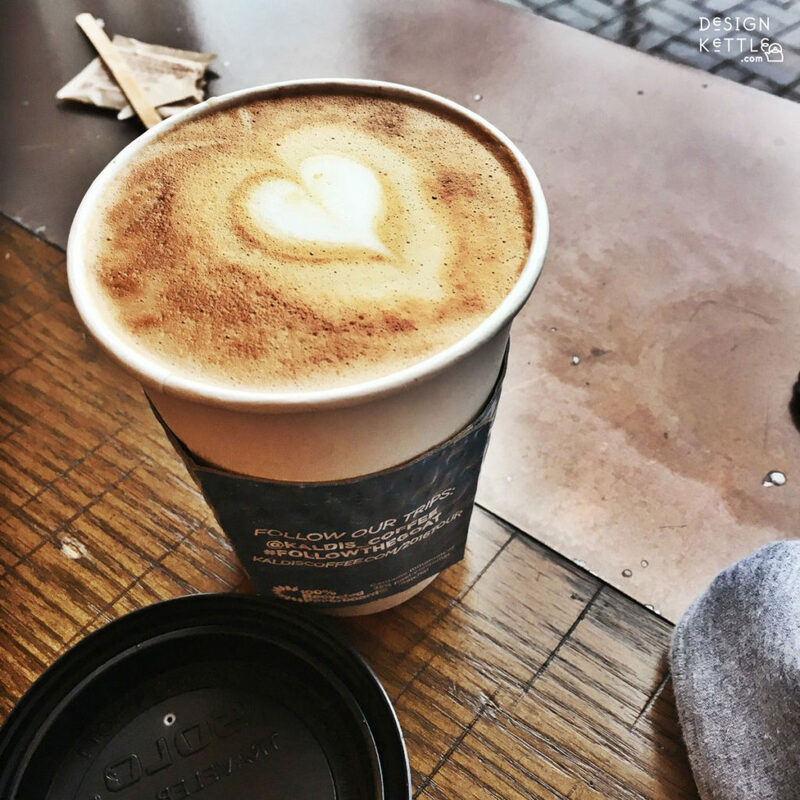 Kaldi’s Coffee : Great Midwest-based coffee shop, serving carefully selected seasonal coffees, fresh smoothies, and tasty treats. Fiorella’s Jack Stack Barbecue : If you like smoked meats, this is your place (at least to start). 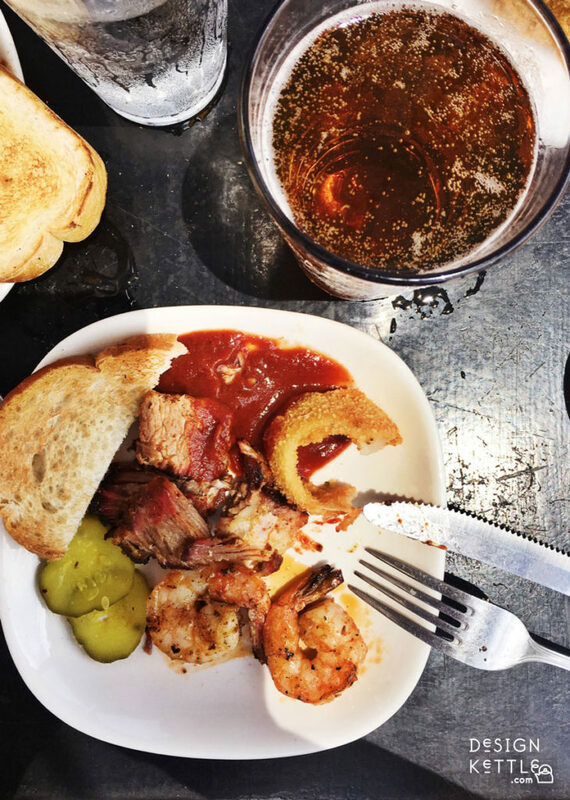 We got other BBQ recommendations from various sources, but if you’re staying in the Plaza, Jack Stack is a fine choice. 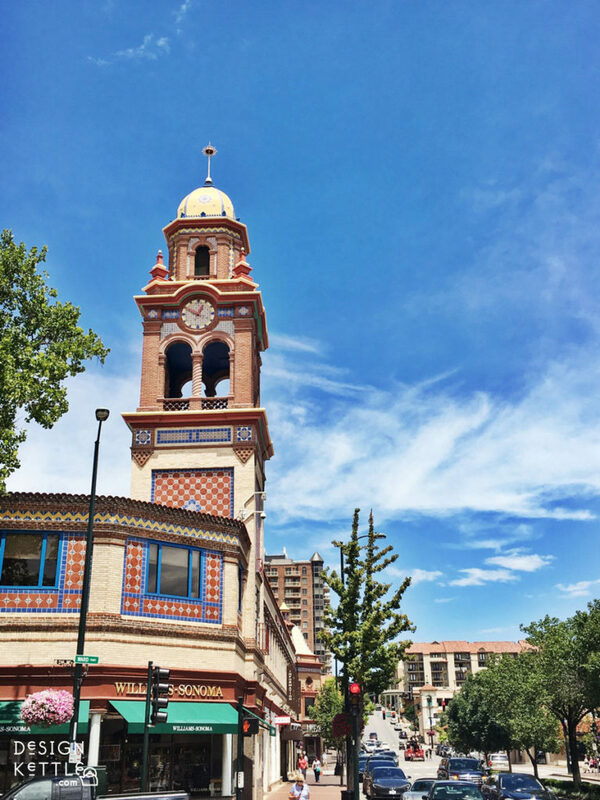 Country Club Plaza : This area is walkable and full for great art and architecture. Most of the shops and restaurants are high-end, but there are some more affordable options, as well. Do you have any travel plans this summer? What types of things do you look for while exploring a new place? Howdy! I’m Ashley D.—designer, image-maker, and storyteller extraordinaire (at least, I like to think so)! Design Kettle is all about inspiring, assisting, and encouraging creative minds like yourself with generating and telling their own stories. Great ready to learn, explore, generate, and share!